Hi all. 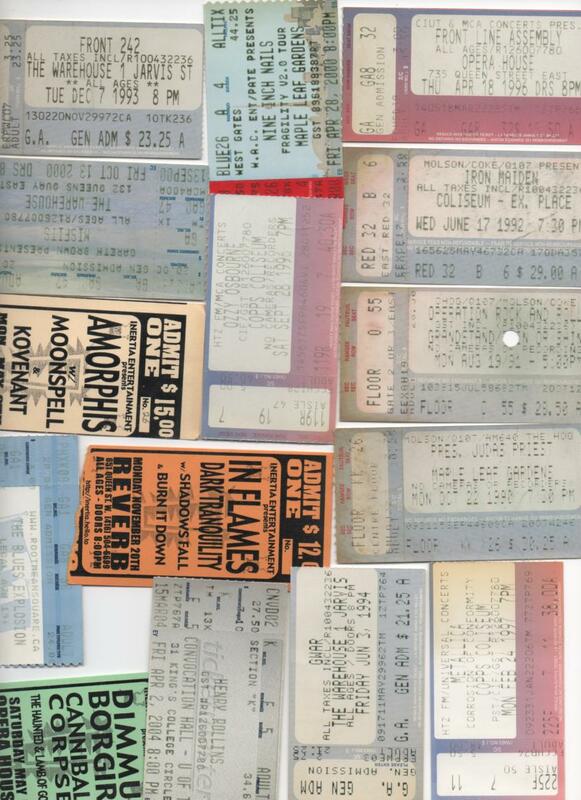 More tickets to show off – of particular interest this time is an old stub from Operation Rock & Roll from 1991. That’s the Toronto show where Rob Halford beaned himself riding out on the Hog during “Hell Bent For Leather” and decided after the show to leave Priest. Teenaged me almost lost his mind!